I have spent much of the day following the HURT100 mile endurance race that Eric is running in. My day was made when I managed to catch him on one of the webcams at mile 32 and he was looking good. I spent a lot of time working on my jigsaw puzzle which is now nearly done. I also finished a review book but I’ve decided to wait until tomorrow to review it. 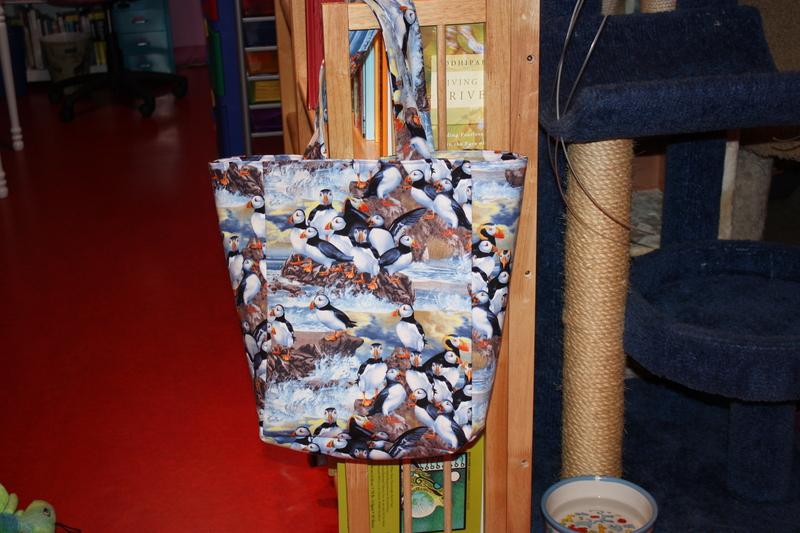 Then I made a new school bag for me since I am now carting more things. I’d planned to use one of the patterns I have, but I found them to be more than I wanted to deal with, so instead I just designed my own and I am very pleased with the results.